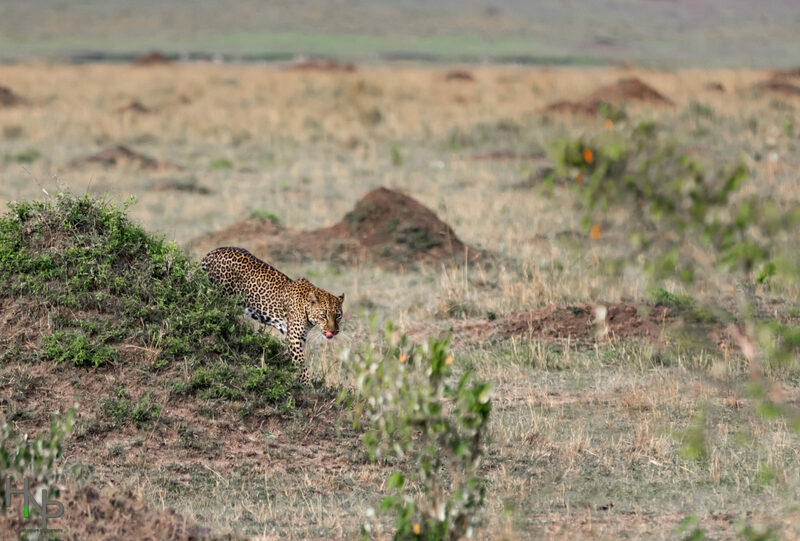 A female leopard patrols her territory which takes in the vast plains of the Serengeti ecosystem in the Mara Triangle. Typically you see termite mounds open plains and a spotted cat and you think cheetah. Very cool to see her out in the open like this.